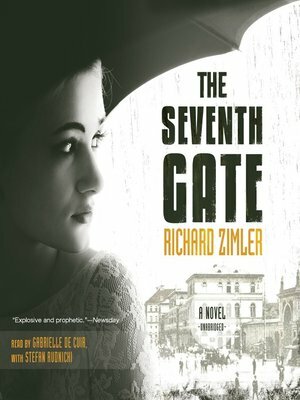 By the author of the critically acclaimed international hits The Last Kabbalist of Lisbon and The Warsaw Anagrams, this novel proves Richard Zimler's mastery of the "riveting literary murder mystery" (Independent on Sunday). Berlin, 1932. Sophie is a smart and sexually precocious fourteen-year-old coming of age during Hitler's rise to power. Forced to lead a double life when her father and boyfriend become Nazi collaborators, she reserves her dreams of becoming an actress for her beloved elderly neighbor, Isaac Zarco, and his friends, most of whom are Jews working against the government in a secret group called the Ring. When a member is sent to Dachau, she realizes there must be a Nazi traitor in the group—but who? Through successive mysteries, reversals, surprises, and a race against time, The Seventh Gate builds to a shattering end. In its chilling but sensuous evocation of the time and place, Richard Zimler's novel is at once a love story and a tragedy—and a tale of ferocious heroism.